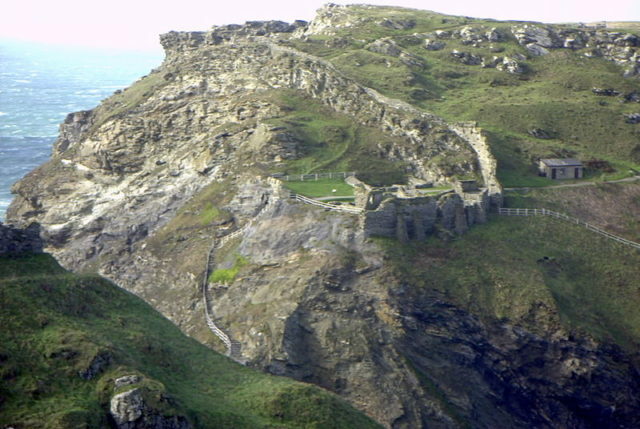 While Tintagel has been the site of human occupation since the 3rd century as evidenced by recovered foundations of small houses and the imported goods from the Mediterranean, the castle became widely known after Geoffrey of Monmouth’s History of the Kings of Britain was published in 1138. 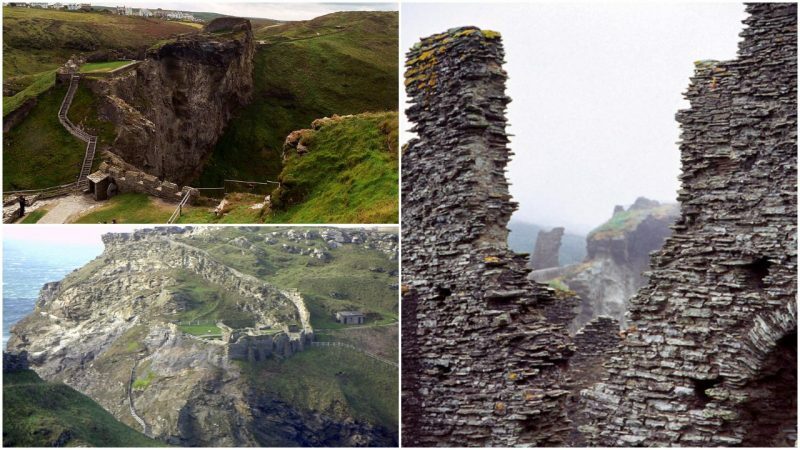 In his history, Geoffrey claimed that King Arthur’s parents, Uther Pendragon and Igraine, conceived him at Tintagel. 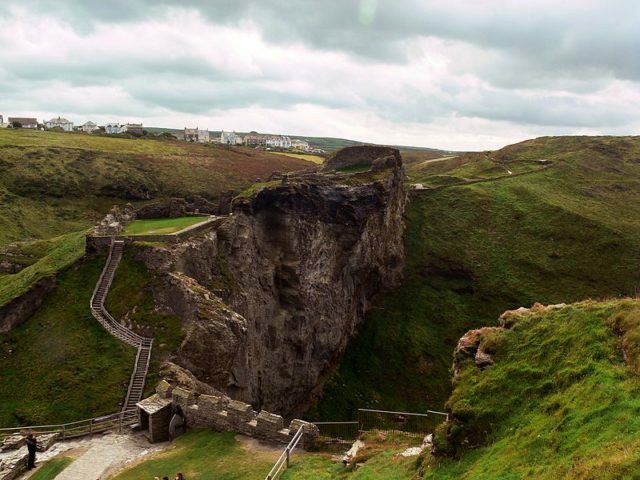 It is not clear why Geoffrey used Tintagel as the location of Arthur’s birth, but researchers guess it may have been the romanticism of the windswept cliffs and physical beauty that inspired him. 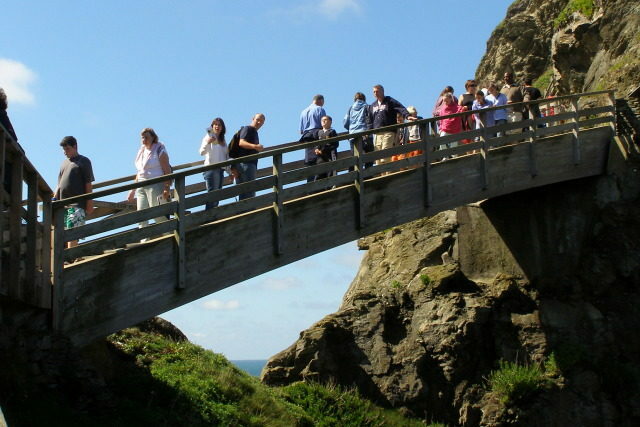 Some claim the legendary love story of Tristan and Isolde took place at Tintagel, inspiring Geoffrey to set his story in the same place. All of these romantic tales motivated Richard, earl of Cornwall and brother of King Henry III, to build a castle there about 1225. As the brother of a king, Richard was part of intercontinental politics and traveled extensively. As with many wealthy medieval men, he spent little time at his castle. After his death in 1272, the castle was abandoned and began to decline. The castle had been built on the rocks overlooking the ocean, and coastal erosion played a big part in the deterioration. Other Cornish nobles sporadically inhabited the castle, but by 1600 it had, again, been abandoned. 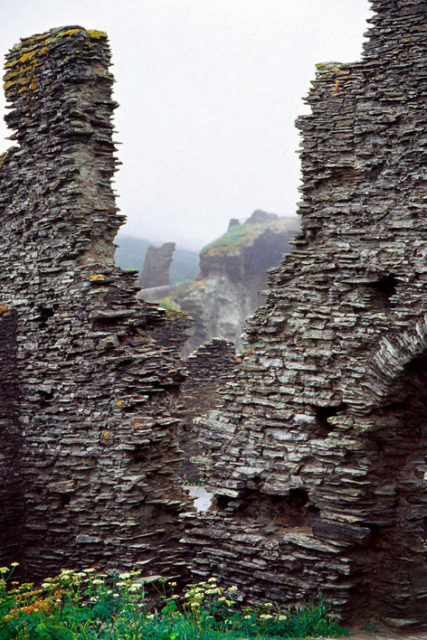 Ruins of the Norman castle at Tintagel CC BY 2. The Cornwall council has received letters stating that the planned bridge would be so high that people would be reluctant to use it and it would be unusable during periods of high wind. Critics have also claimed that because the bridge will be built in two parts with an almost two-inch gap between the two sides, it will be dangerous. This entry was posted in England, Europe, History, Travel, World by rolyred. Bookmark the permalink.